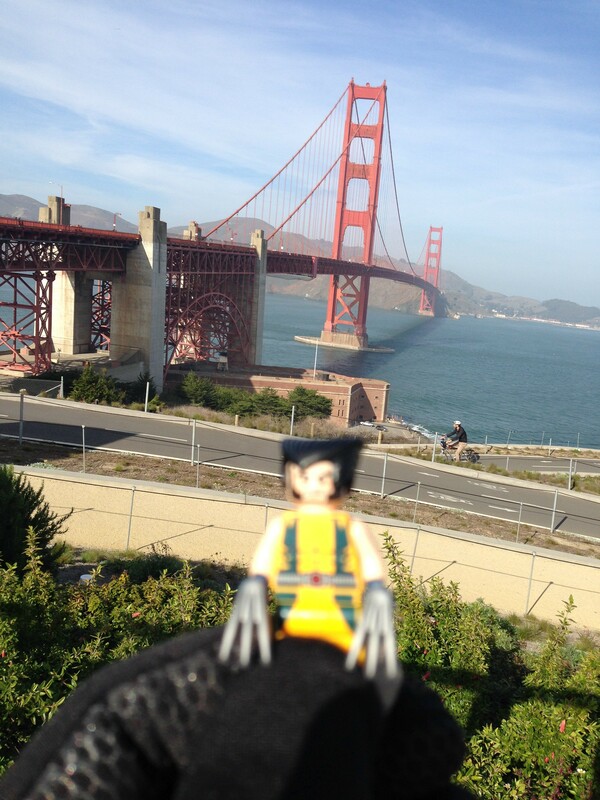 Wolverine’s Holiday Vacation in San Francisco! Recently, I partook in Reddit’s Secret Santa 2013 -Reddit’s attempt to conquer the world record for the number of people participating in an international gift exchange. At the time of this update, Reddit smashed the world record obtaining over 120,000 participants in 160 different countries. For those of you unfamiliar with San Francisco, or who simply want to follow along, I’ve created a Google Map indicating the location of each event. 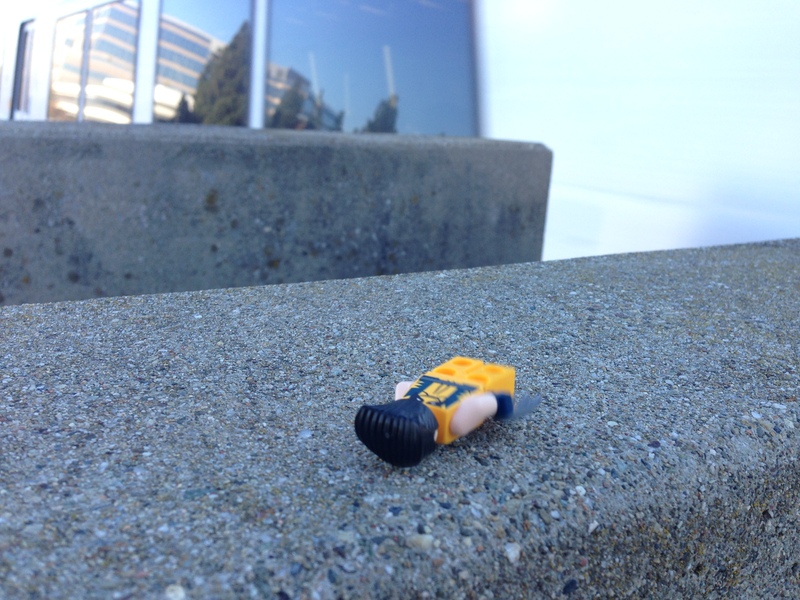 While on a walk one day I spotted a strange-looking man sleeping on the sidewalk. “Uuuugh, it’s been a long week. Help me up would you?” the man replied. “No, not really,” Wolverine said groggily. “Sounds like a plan!” he exclaimed. 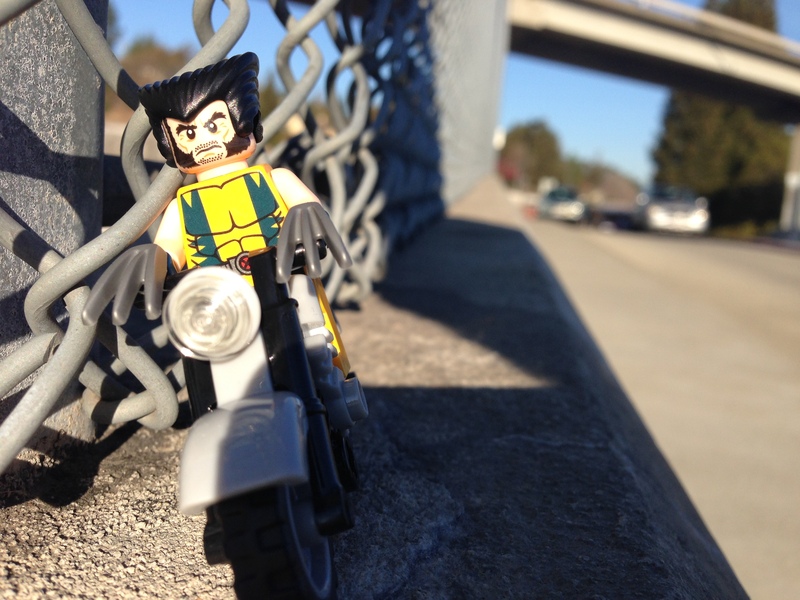 Wolverine in front of the Walnut Creek BART station. 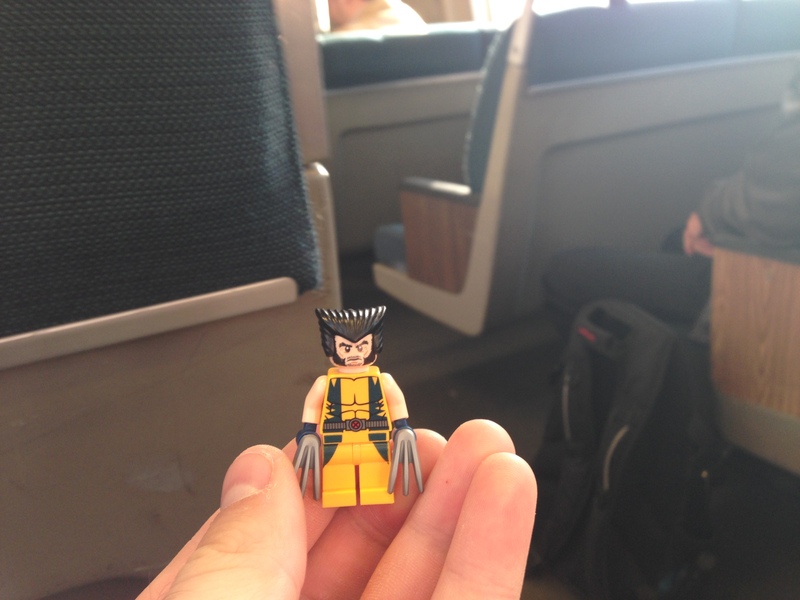 Wolverine enjoyed the BART’s “gently aged” seats. After that, we were set. 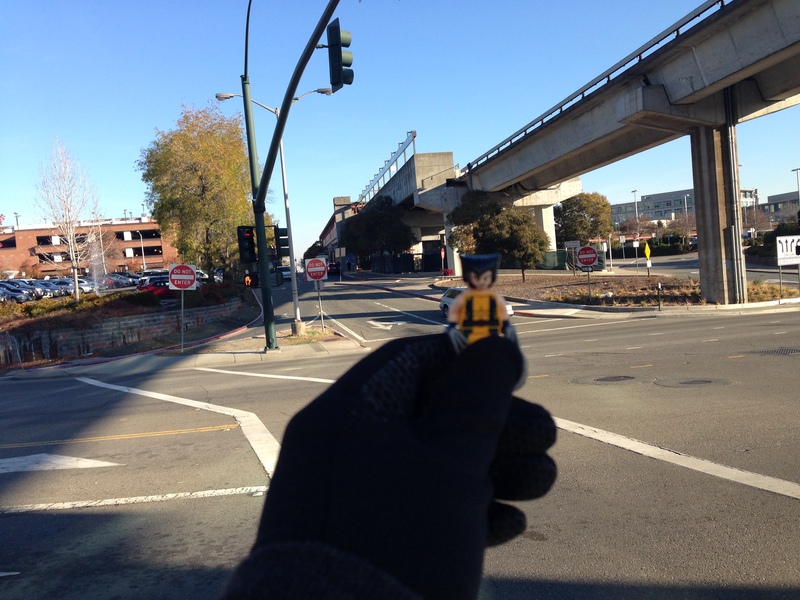 Wolverine accompanied me to the BART -the “Bay Area Rapid Transit” system of trains throughout the Bay Area. We took the train from my town into the city. After our short ride in we reached the station next to my office building in the center of Downtown San Francisco. We lucked out! In a city renowned for its dense layers of fog, it was an incredibly sunny day! Barely a cloud in the sky! Little known fact about Wolverine, he has a bit of a sweet tooth when he’s on vacation! 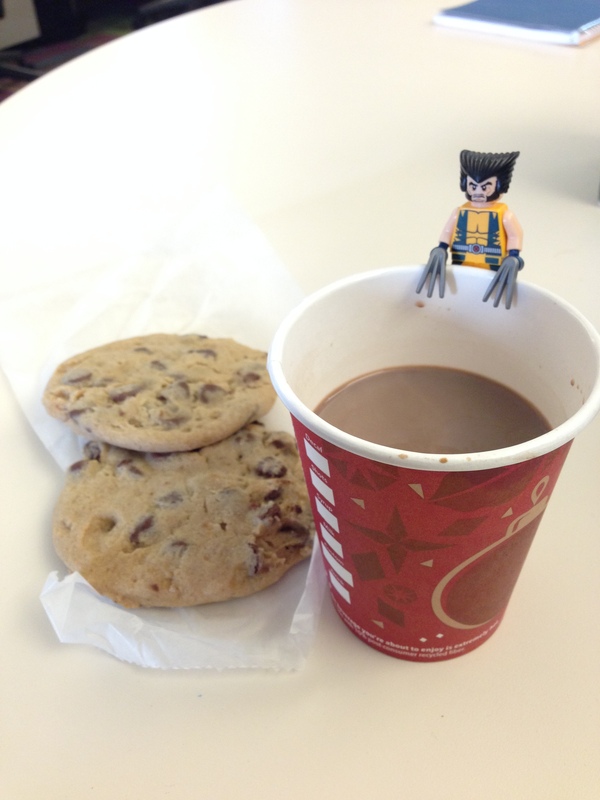 When we got downtown, I helped Wolverine to some hot cocoa and cookies. That man could eat! Wolverine loved the authentic San Francisco Sourdough, the best bread in the world. 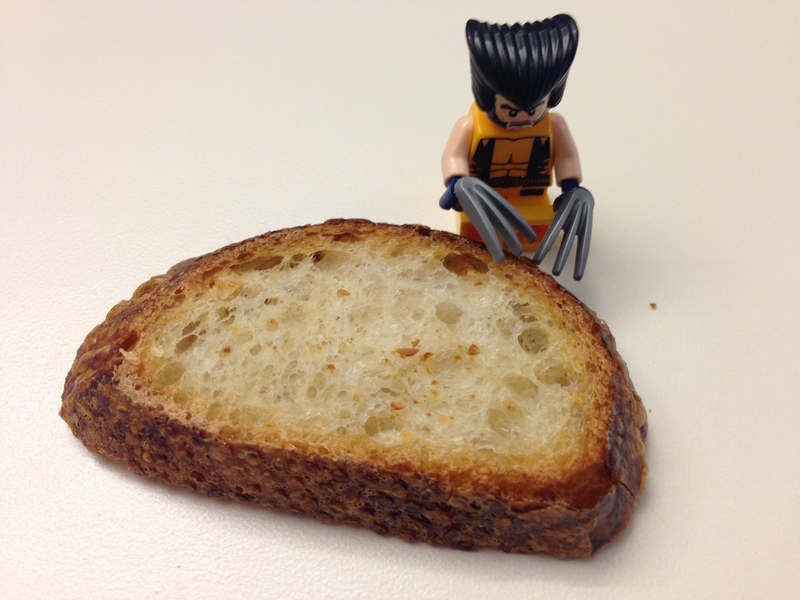 I also got Wolverine a slice of bread from my favorite bakery called Acme Bread Company. 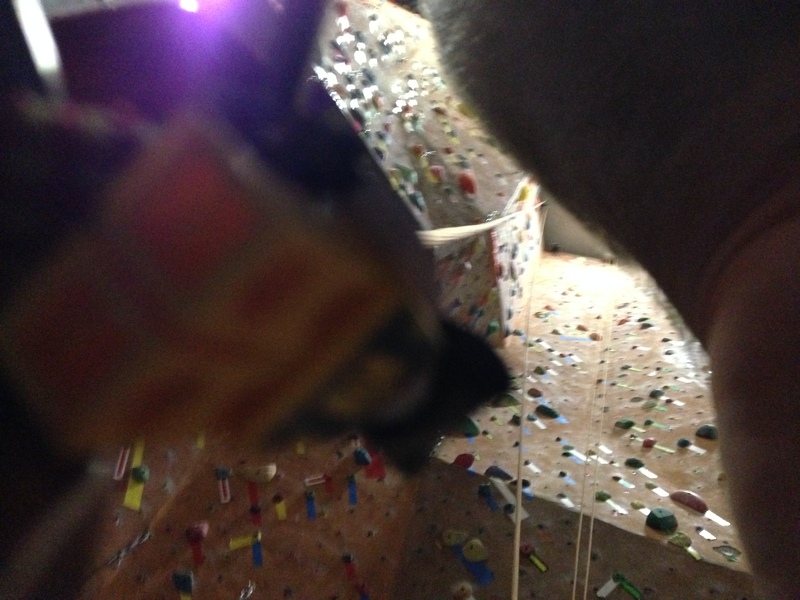 Around mid day, I ventured out to the rock climbing gym in nearby Oakland. 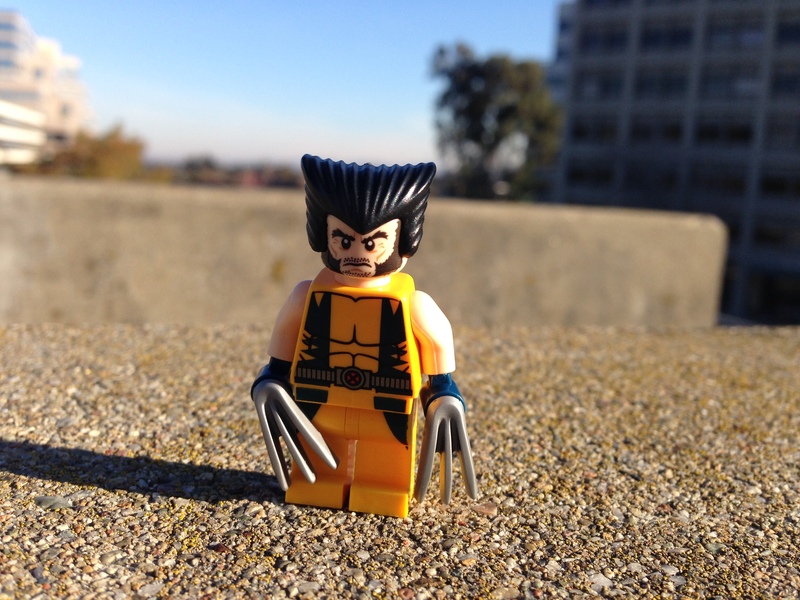 Wolverine tagged along for the exciting workout! 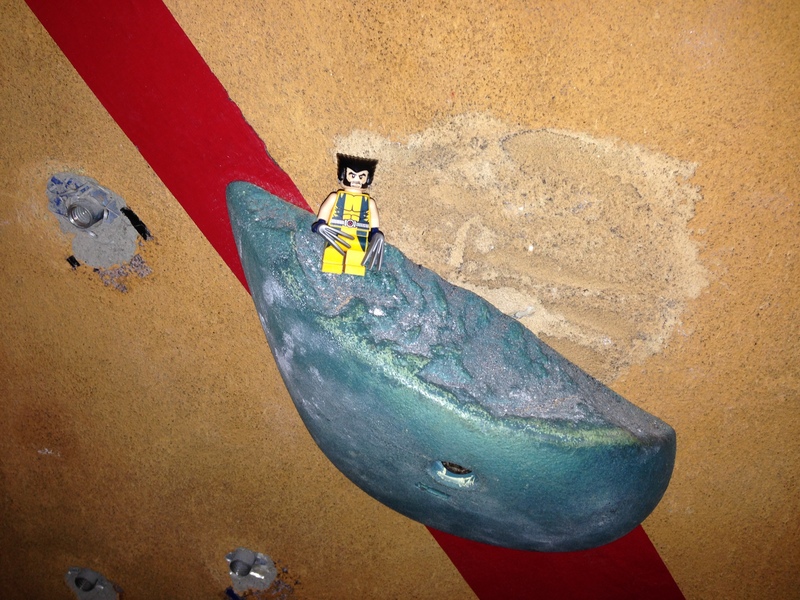 Wolverine is a great climber (naturally), and also very helpful and responsible. 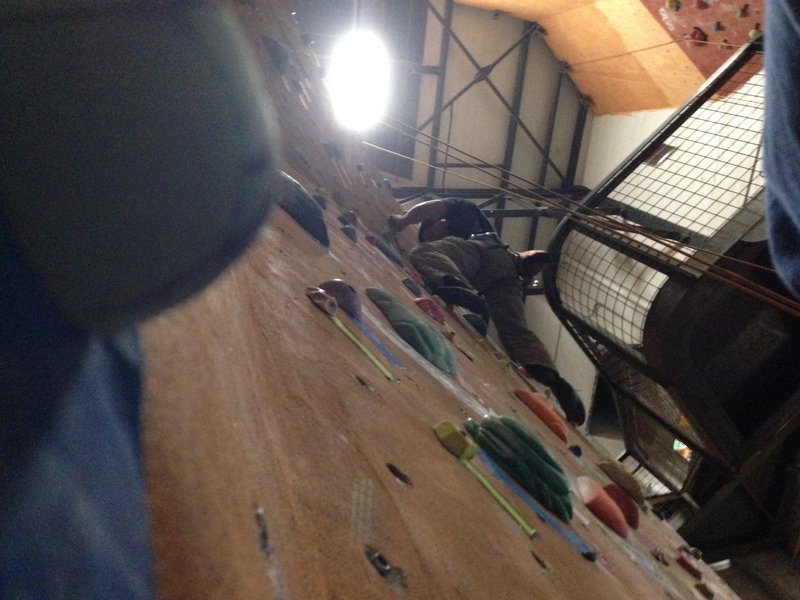 He even helped to belay my friend while he was climbing. 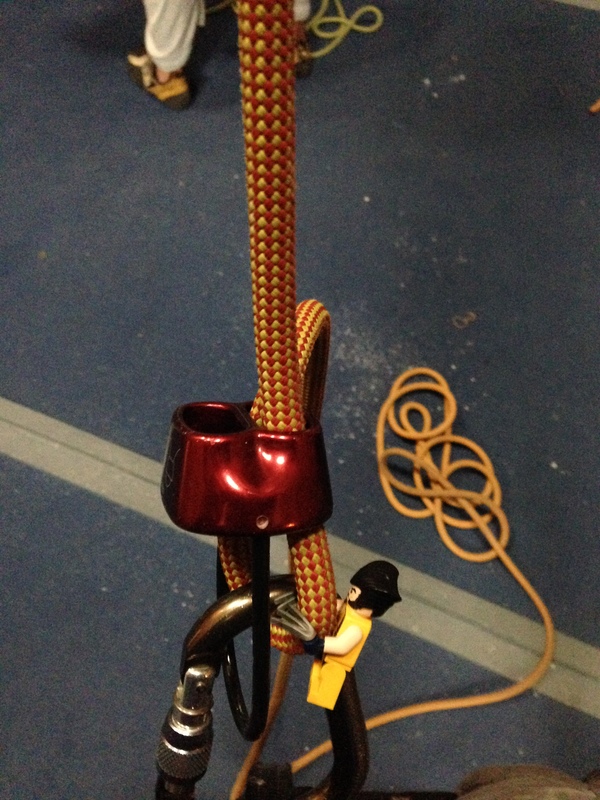 Wolverine understands other human’s don’t have his regenerative capabilities, so he’s very safe and careful when belaying. When we finished there, we decided to go sightseeing. 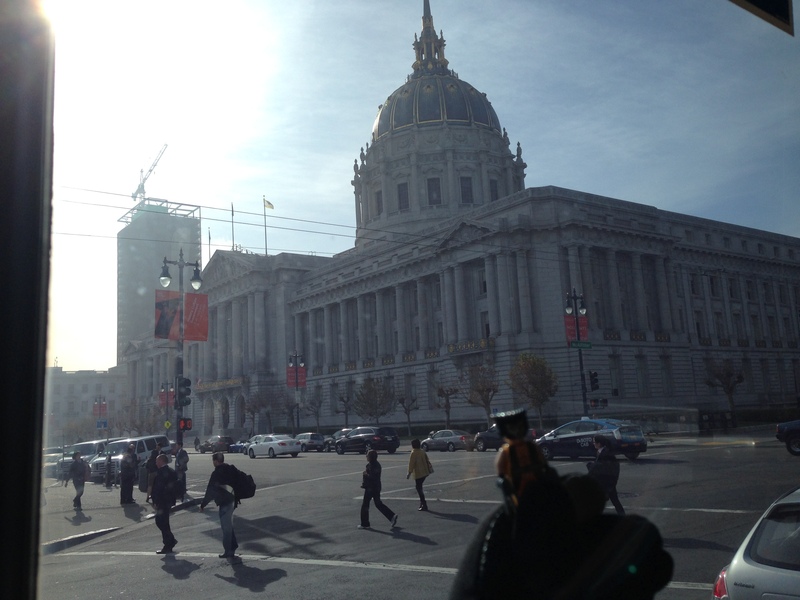 We saw the San Francisco City hall. We saw some tall buildings in SOMA -the “South of Market” district, a San Francisco hot spot for creative and well-established tech companies. 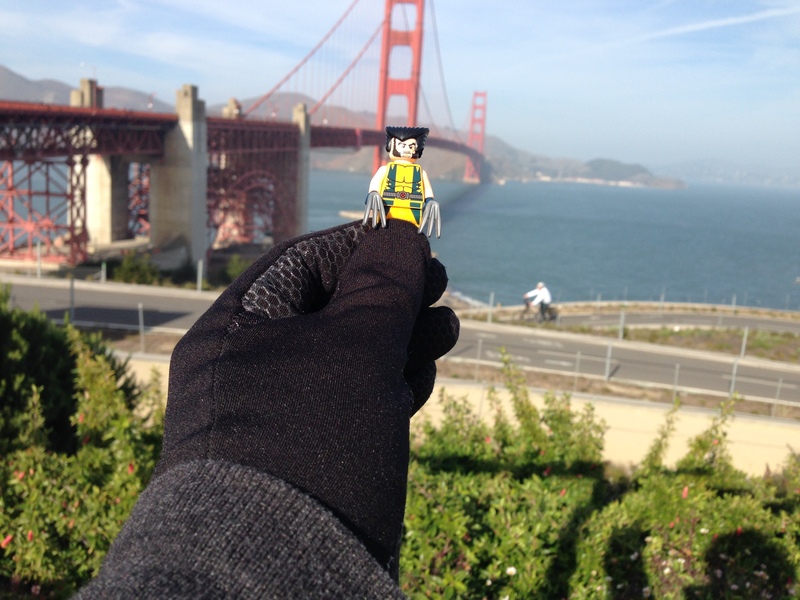 Eventually, we made it to the other side of town to take in one of the greatest overlooks in San Francisco, with a great view of the Golden Gate Bridge, and Alcatraz. Wolverine got a bit windblown. 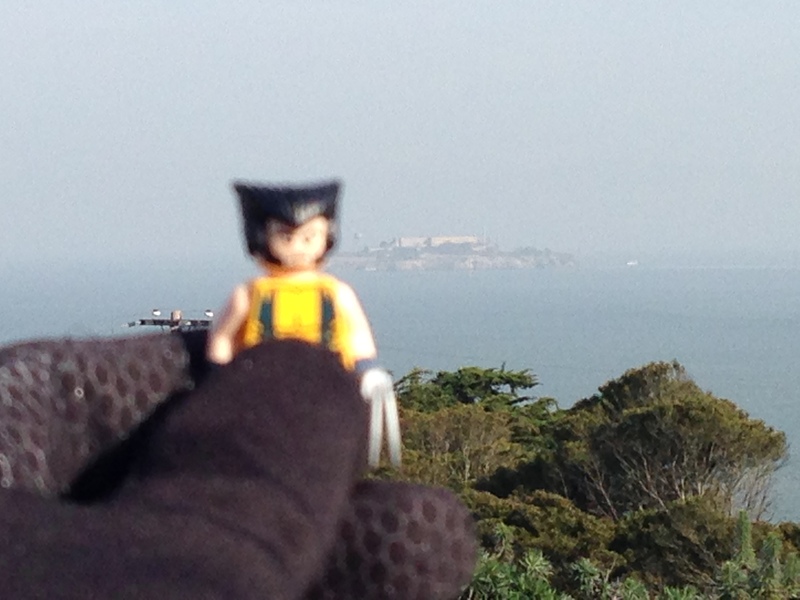 Not a flattering picture of Alcatraz or Wolverine. 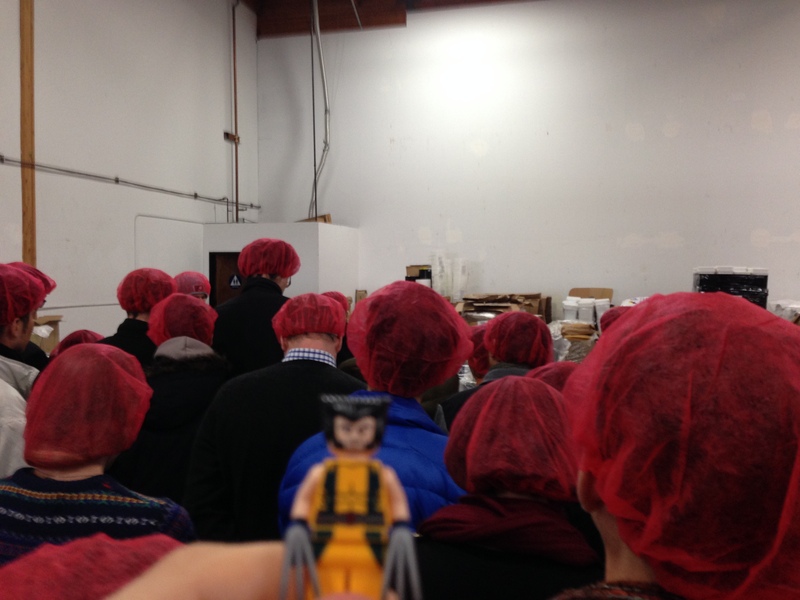 I gave Wolverine the option to head out on his own or join my coworkers and me at a local charity, while we packaged up meals for those in need. 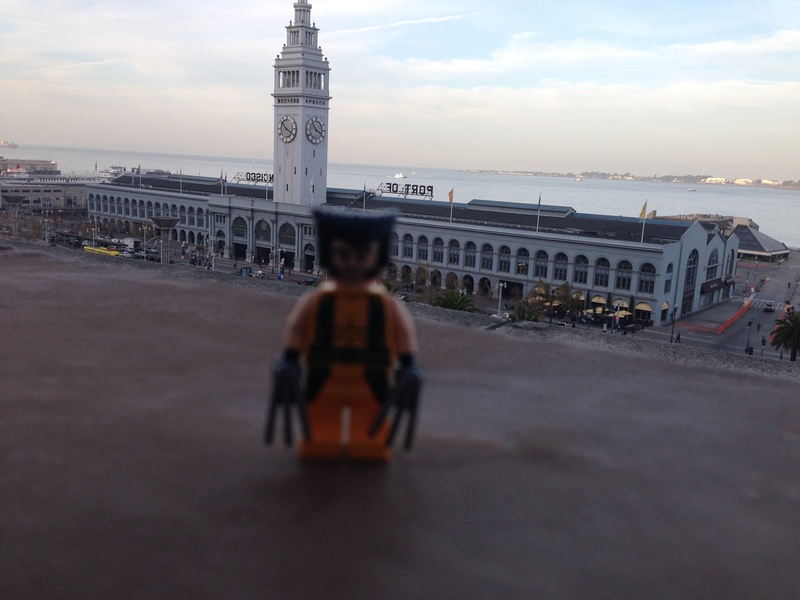 Wolverine got to see a great view of the San Francisco skyline during the day. An ol’ softie at heart, Wolverine decided to accompany me to Stop Hunger Now, a charitable organization that sends millions of meals to the hungry in third-world countries. 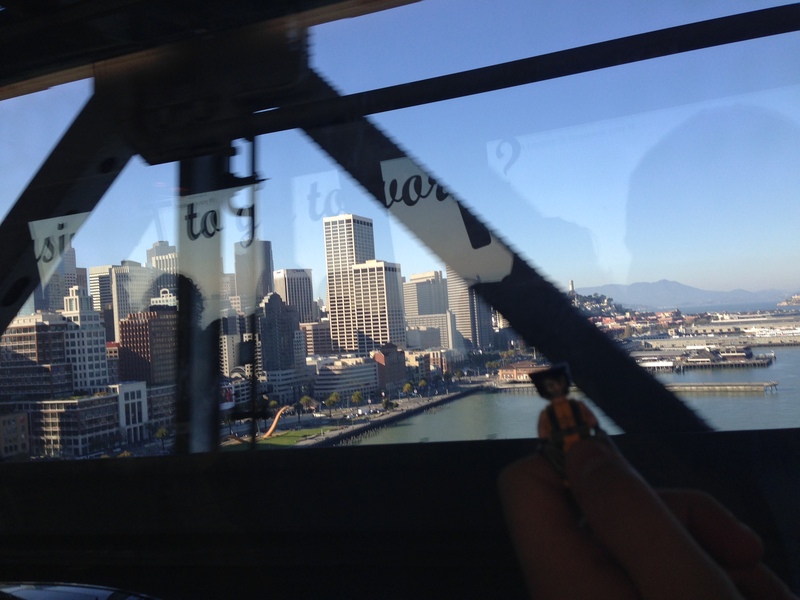 We jumped on a shuttle and rode across the Oakland Bay Bridge. With his help, we managed to package meals for over 78,000 families in just under 3 hours! After we finished, we returned to my office building and I wanted to show him one more great view of the San Francisco Bay from my office rooftop before the sun set. And with that, he sped off to his next adventure. 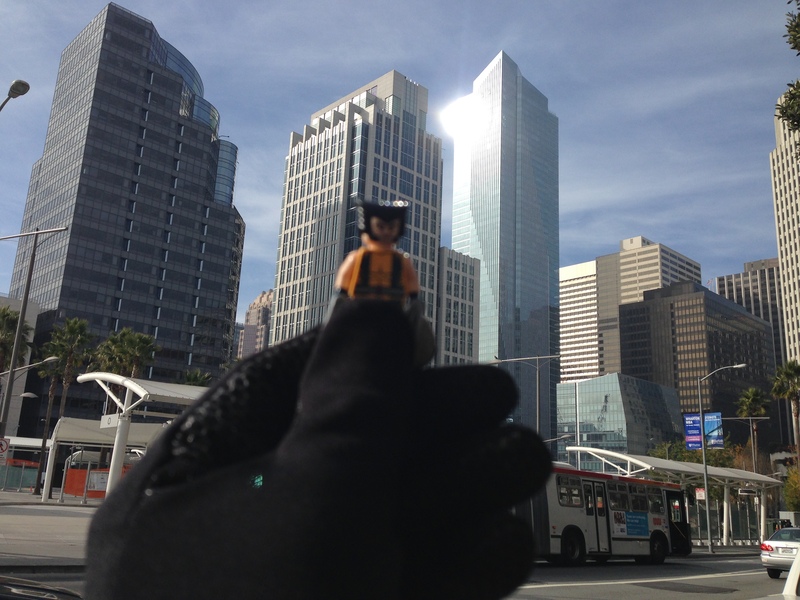 Good-bye Lego Wolverine! Take care of Ava!